The N.C. Department of Environmental Quality (NCDEQ) has initiated rule making on rules for the protection of public health and the environment when coal ash wastes are disposed of and recycled. The state agency made the draft rules available for review and feedback from Feb. 8 to Apr. 6. 2018. Public meetings were held on Feb. 12 in Roxboro, Feb. 20 in Dallas, Feb. 22 in Wilmington, and March 27 in Gastonia. The public was invited to submit comments on the proposed rules Aug. 15 through Oct. 15 and at four public hearings held Sept. 4 in Goldsboro, Sept. 20 in Mooresville, Sept. 25 in Asheville and Sept. 27 in Wentworth. Please find below two links to the comments received by DEQ during the public comment period. DEQ will consider all comments and then present final draft rules to the Environmental Management Commission (EMC) for adoption. If approved by the EMC, the rules will then be presented to the Rules Review Commission (RRC), which has the final say on whether to approve the rules. Copies of the proposed solid waste (landfill and impoundment) rules can be found online at: https://deq.nc.gov/documents/15a-ncac-13b-2001-2018-coal-combustion-residuals-management and the dam safety rules at: https://deq.nc.gov/documents/15a-ncac-02k-0224-additional-requirements-dams-impound-coal-combustion-residual. Staff from DEQ's Division of Energy, Minerals, and Land Resources (DEMLR) and the Division of Waste Management (DWM) presented the proposed solid waste and dam safety rules to the Groundwater and Waste Management Committee (GWWMC) of the EMC at the May 9, 2018 meeting. The GWWMC approved both sets of proposed rules to be presented to the full EMC at the July 12, 2018 meeting to proceed to a formal 60-day public comment period. DEMLR reviewed comments received and then presented final proposed dam safety rules to the full EMC for adoption on Nov. 9. The dam safety rules were approved by the EMC and are scheduled be presented to the RRC Thursday, Dec. 13, 2018 at 9 a.m. The RRC has the final say on whether to approve the rules. The agenda for the July 2018 meeting of the GWWMC includes links to the DWM and DEMLR presentations and proposed rules. Coal ash, a waste product generated when coal is burned to generate electricity, is typically stored in impoundments or sent to landfills at coal-fired power plants. 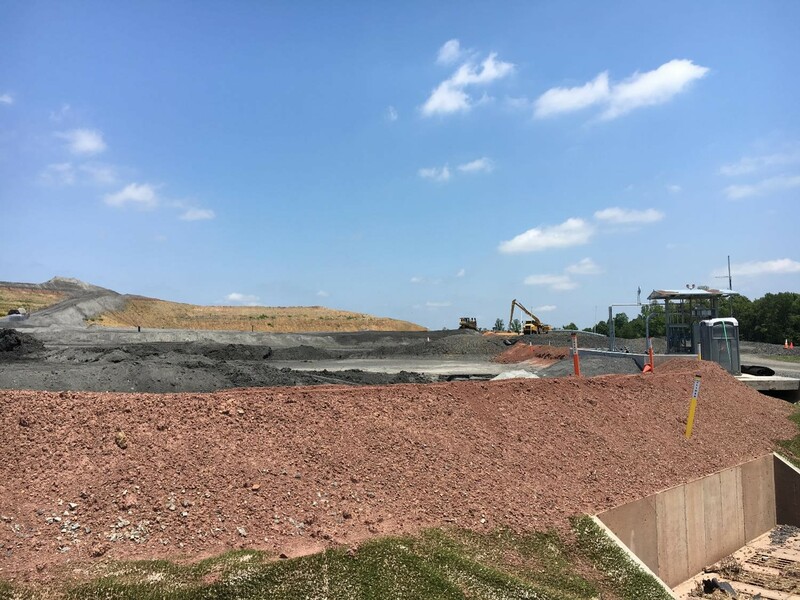 The draft rules incorporate specific requirements from a set of federal rules enacted by the EPA in 2015 that outline how coal ash landfills are to be designed, constructed, and operated. The 90-plus pages of draft rules are intended to be more protective of public health and the environment than existing rules for coal ash disposal and storage. Existing rules require the operators to build coal ash landfills with protective lining to prevent impacts to groundwater as well as regular environmental monitoring and systems for collecting wastewater. The new rules would add detailed criteria for how the landfills are to be constructed, restrict what sites are suitable for coal ash landfills, and widen the buffers between the landfill and adjoining properties, streams and rivers. The draft rules require operators to inspect landfills weekly and post the findings from those inspections on a publicly-accessible website.